Leader Chris Daniels could not resist 'leaking' the program summary fror the 2019 Fresno Jazz Festival, February 7 - 10. His Climax Jazz Band is a regular at this California pre-Mardi Gras event. 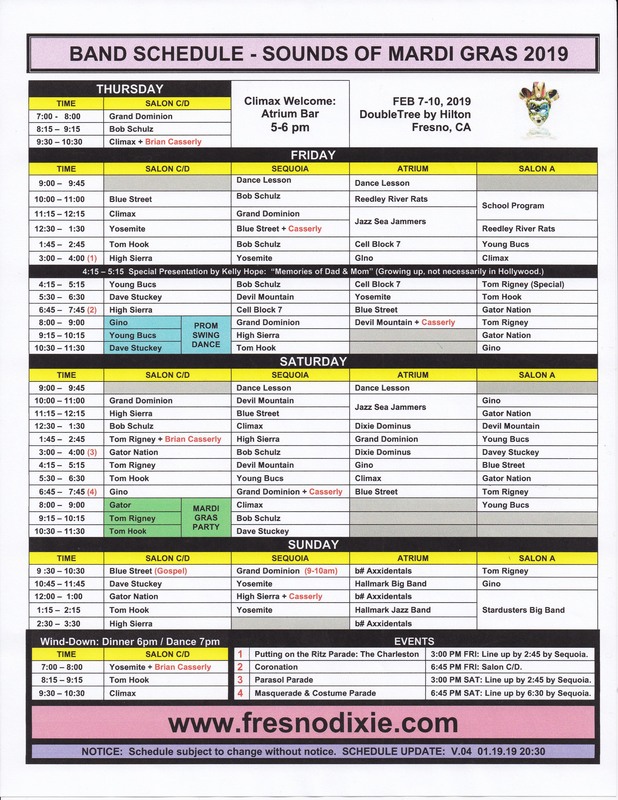 Here is the schedule he sent, to make all who are not going envious. I count 23 different performers over 35 sessions. Yes, Chris, we are green.